You know that feeling when you throw something out that you liked and you regret throwing it out. But it was junking up your house and it wasn’t really serving a purpose so you got rid of it even though you didn’t want to? The same goes for emotional garbage. 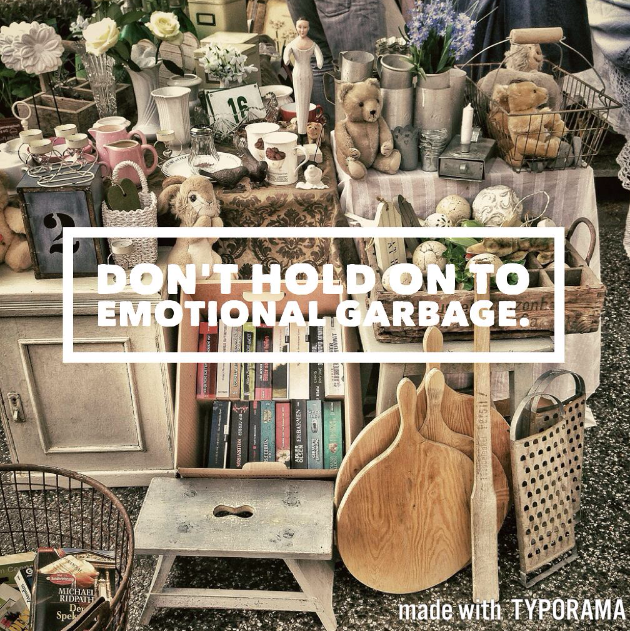 We collect emotional and spiritual junk that prevents us from advancing. So during this Mercury Retrograde, I resolve to not hoard emotions I don’t need anymore and take my cosmic trash to the curb. If you need help with your spiritual clutter, contact me for a reading. The Mercury Retrograde Special is a 3 card reading that comes with a FREE gift! Contact me to purchase yours today!